Number 6 in a set of 8 Australian State Badges to be released in 2018. 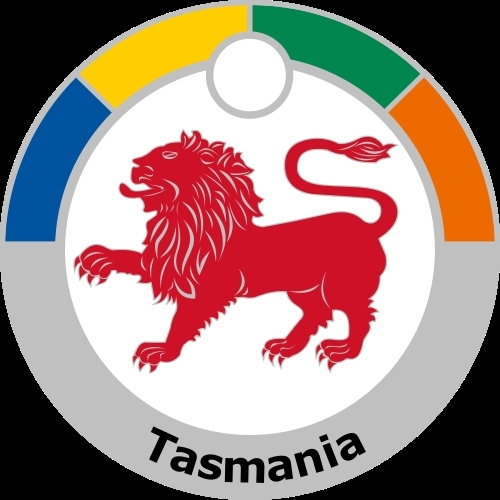 Featuring the state badge of Tasmania. 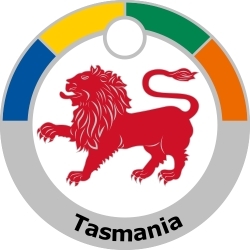 Adopted on 29 November 1875, the Tasmanian badge consists of a red lion passant. There appears to have been no attempt for the badge to be emblematic of the colony. The lion was originally intended to be used only on the flag of the Governor. A distinctive design for local shipping, featuring a Southern Cross, was abandoned as it did not comply with the British Admiralty pattern for colonial flags.